A recent survey has revealed that young adults are driving a growing demand for waterside living in the UK. Traditionally, it tended to be retirees who aspired to live near water, but the evolution of technology and telecommunications makes moving to a waterside location easier and more obtainable for young professionals and families. The benefits of living by water – whether it be the sea, a lake, or river – are well-documented, not least the positive impact on mental health and well-being, and the more relaxed, outdoor-focused lifestyle it affords. And our collective yearning for living close to water is evident in the capital, too. The sheer number of smart, new waterside developments which have sprung up in recent years around the River Thames pays testament to that. Areas around the Docklands like Wapping and Surrey Quays have been regenerated in recent years, with that regeneration fueled by increasing demand for riverside living. Regeneration has also occurred in Shad Thames, which runs along the south side of the River Thames, near Tower Bridge. Its proximity to the City of London and the river, and its profusion of converted warehouse buildings and new-build apartments, has made it a popular place to live. So, what are the perks of living by the river? Living by water somehow encourages us to pay more attention to the views on our doorstep and the immediate surroundings. In a city as frenetic and fast-paced as London, taking more time to see things, appreciate things, and the ability to live at a slower pace can only be a good thing. Areas like the Docklands and Shad Thames are proving evermore popular with young professionals and City workers keen for a slice of waterside living, apartments with balconies, and somewhere inspiring to return home to after a long hectic day. Once you’ve tasted the riverside lifestyle, you'll never want to leave it behind. Investment in London’s riverside areas has been extensive and continues to be. Wapping and St Katherine’s Dock on the north side of the River Thames, and parts of Rotherhithe and Shad Thames, in addition to nearby Bermondsey on the south side, have been transformed over the last twenty years. Now there are excellent residential options for buyers and renters alike ranging from period conversions to new-build apartments and penthouses. Not only has there been considerable investment in residential development, but the regeneration of riverside London also extends to the opening of new bars, pubs, shops and restaurants, all wanting to make the most of their riverside location. The health benefits of living close to water are widely recognised. According to research, being near water reduces stress, boosts a sense of calm, and improves well-being. Living near water is also said to encourage outdoor activity and exercise, whether it be cycling, walking, rowing, jogging or swimming. In an urban sprawl like London, where working hours are often long, exercise is important, helping to keep us mentally as well as physically healthy. Sense of history The Thames is the lifeblood of London and has always played an important role in shaping the city’s economic, political, cultural, and social history. 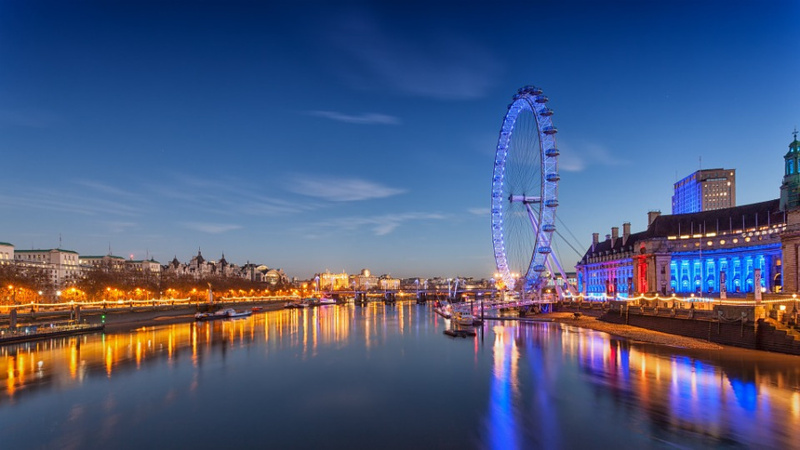 Living close to the banks of the River Thames is a perk from this perspective, and you can feel truly part of a city that is both historical and modern. Do you want to enjoy living by the river? We specialise in the property sector around Bermondsey and Shad Thames and can help you whether you’re looking to buy, rent, let or sell properties in these areas.